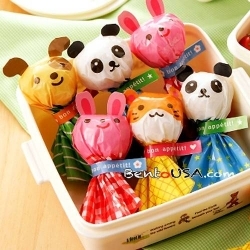 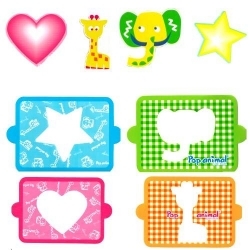 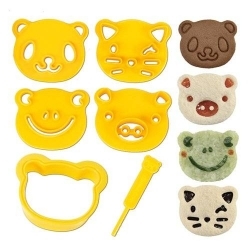 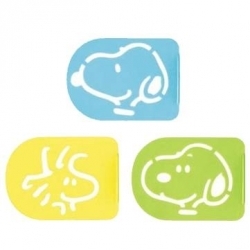 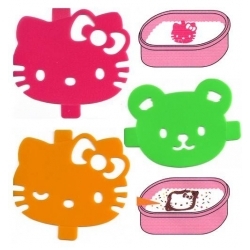 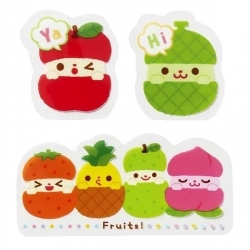 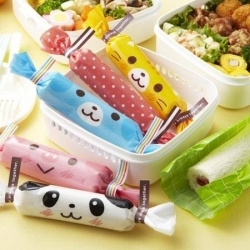 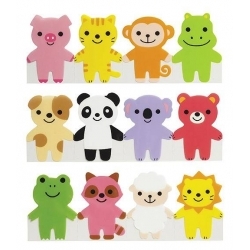 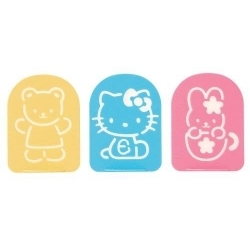 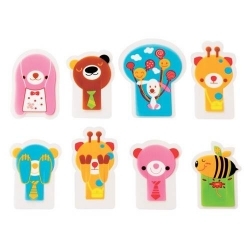 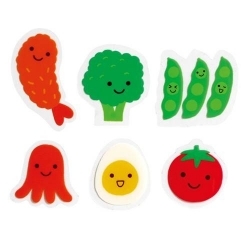 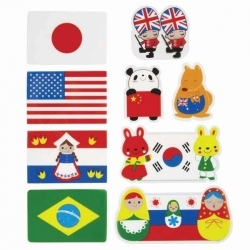 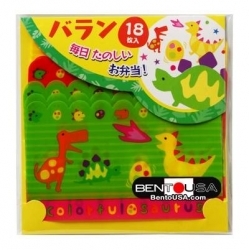 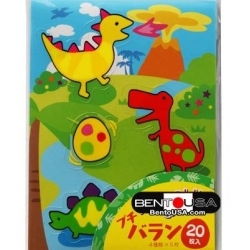 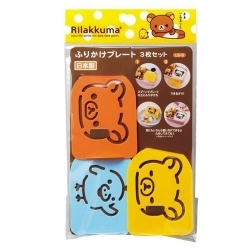 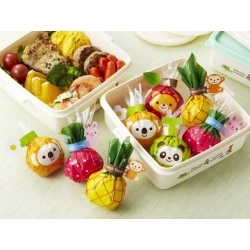 Microwavable, total of 18 pieces, 5 animal designs and other 4 cute design sheets, (2 pieces each), to separate the section of your bento decoration so that the food will not mix with one another. 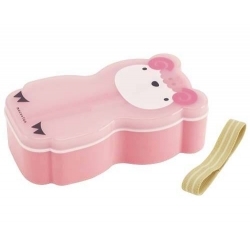 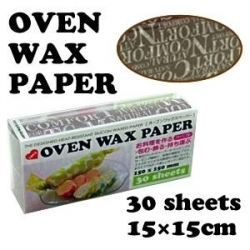 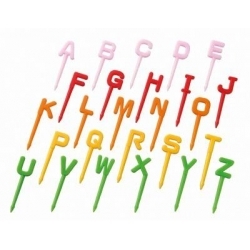 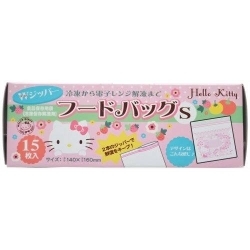 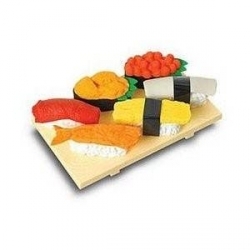 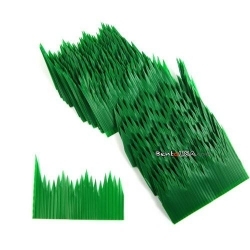 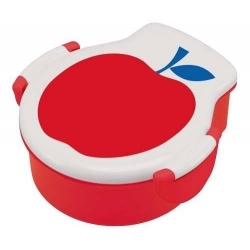 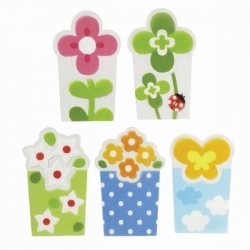 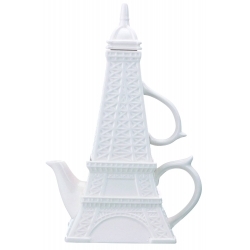 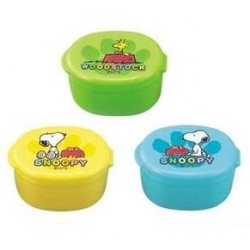 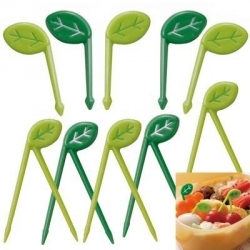 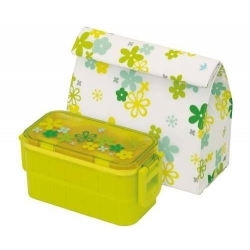 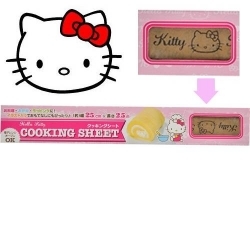 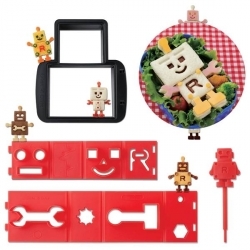 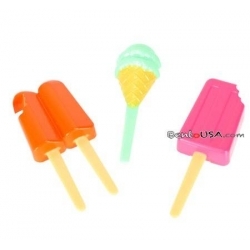 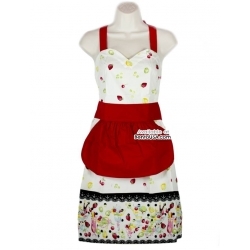 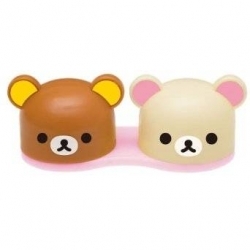 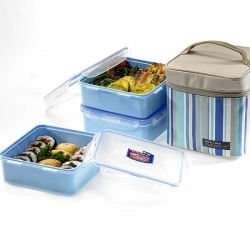 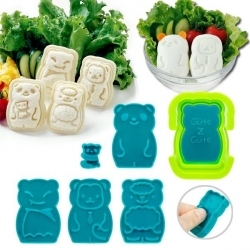 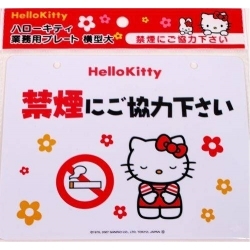 This is another accessory for your lunch box or bento. 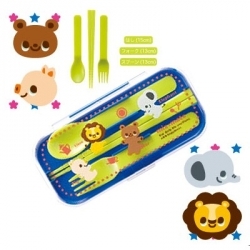 It contains total of 18 pieces, 5 animal designs and 4 cute design sheets, (2 pieces each), to separate the section of your bento decoration so that the food will not mix with one another. 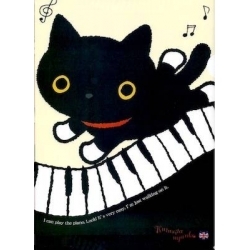 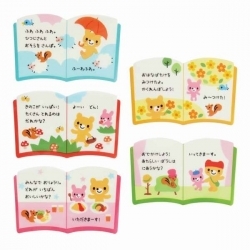 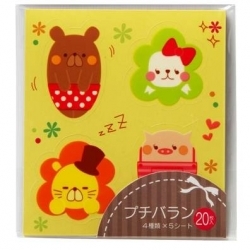 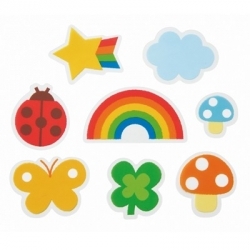 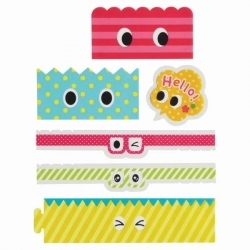 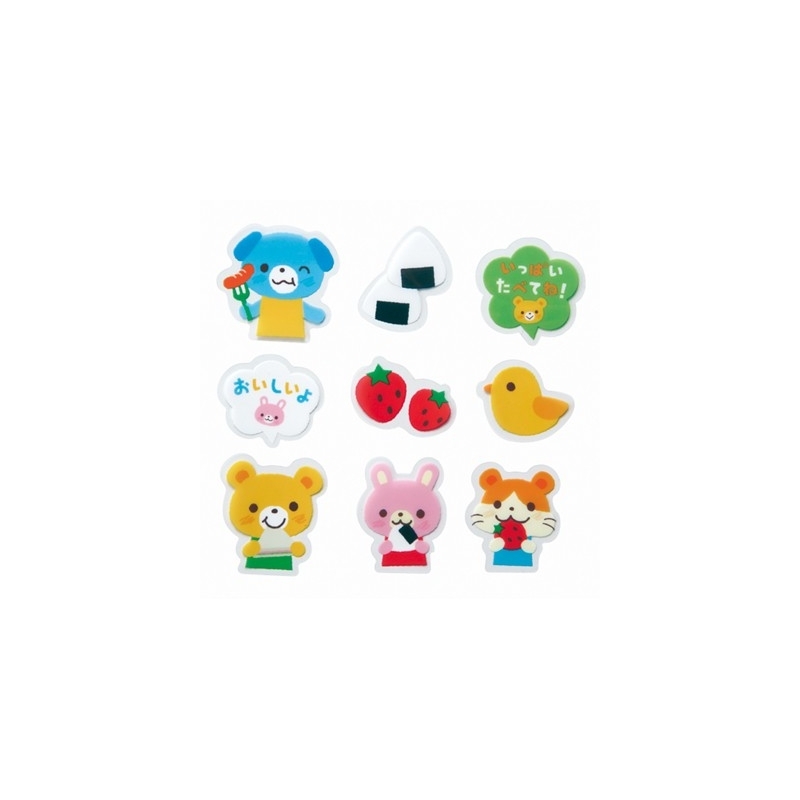 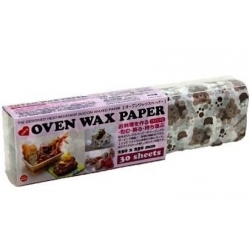 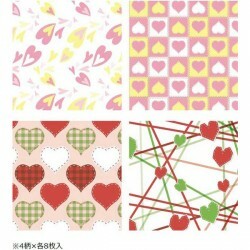 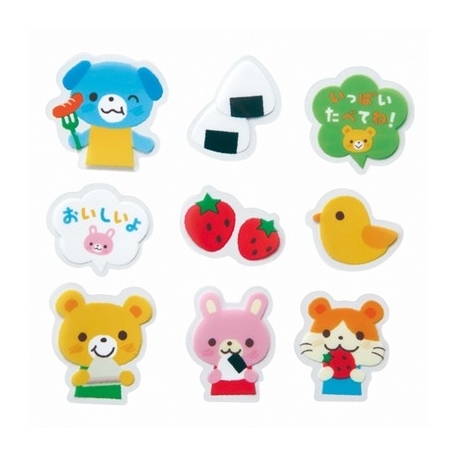 This food separator sheet set includes hamster, rabbit, bear, chick and dog, grass with Japanese rice ball onigri , strawberry, and little messages like "Ippai tabetene - Eat a lot" or "Oishiiyo - Yummy"